As I mentioned in my Training Log earlier today, I thought I would post my training plan devised using a slightly modified Hansons Marathon Method. I’ve taken stretching and warm-up/warm-down routines from elitemarathoning.com and I intend to run some of my Tempo workouts using Mark Hadley’s Wave Tempo method. I’m also considering extending some of my Long Runs above the prescribed Hansons 16 milers – the plan is a guide and, as I’m my own coach, it’s as flexible as I need it to be! As you will see, I have also denoted which shifts I’m on at work until September 29th (our rota only goes so far in advance). ‘E‘ denotes an early shift which runs from 0800hrs until 1600hrs, ‘L‘ denotes a late shift which runs from 1400hrs until 1600hrs and ‘O‘ denotes a day off. I intend to do my workouts after early shifts and before late shifts and because I’m also trying to prepare my body for an evenutal Ironman I will be swimming and/or mountain biking on days where no runs are scheduled (marked on the plan as ‘OFF’). I have an A and a B plan for my debut marathon. Plan A aims to get me to the finish line in 2:55 whereas Plan B aims to get me over the line in 3:05. I figure both of these plans are compatible with one another and somewhat interchangeable depending on how I’m feeling on any given workout day. It gives me a lot of room for manouvre on race day too, allowing me to change the pace if the going gets tough without losing out on one or other of my goals (in theory). 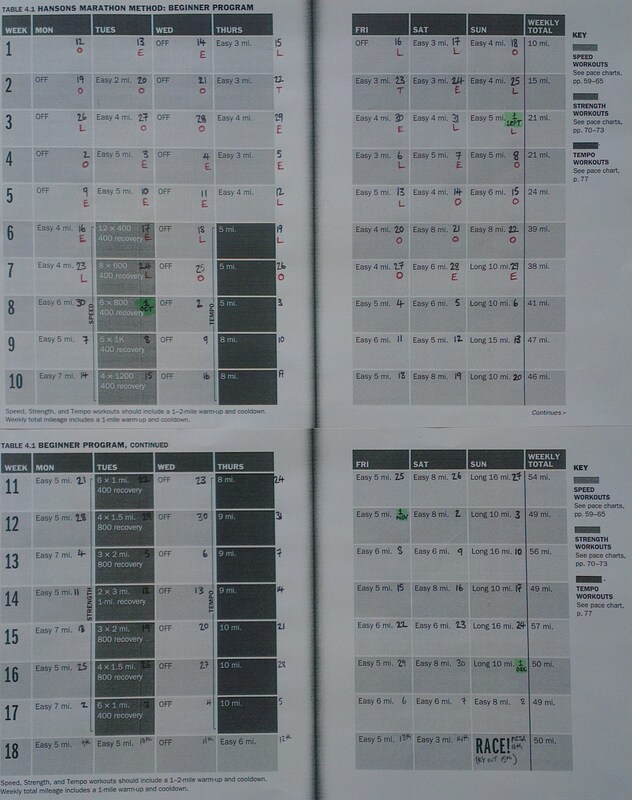 So there we have it, my Pisa Marathon training plan(s)! I hope you found this post somewhat informative and maybe even a little interesting. Let me know if you decide to follow this plan for any of your marathons too – I’d be interested to know how you find it. This entry was posted in Post on Aug 15, 2013 by Al Flowers.